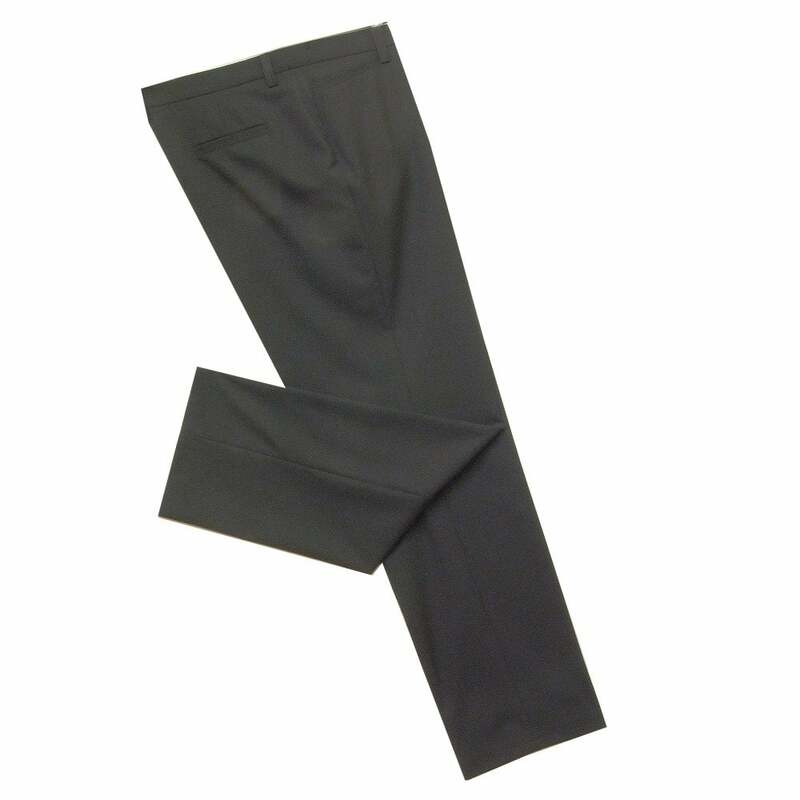 Trousers, special fit, straight leg, regular length, Front zip and button closure, waistband with bet loops, two pockets. Black polyester and wool fabric. 52 percent polyester 44 percent wool 4 percent elastane.